Since the beggining I've been a big fan of instagram. It might seem to a lot of us like a simple app but it's not that easy to get followers on it. Why? Because there are a few aspects when it comes to photography that count A LOT in taking and sharing pictures from your cellphone. Here I share my top 15 instagram accounts which are good examples of photo editing and composition. how to get bigger on instagram! Use natural lightning in your favor. Use brightness and contrast when editing your pictures. No more faded images! Keep using the same filters and color palette. Keep visual coherence. Use #hashtags so new people can find you. Pay attention to engagement, reply to your fans. Image quality is important, so investing on a cellphone with a good camera or cellphone lens is a plus. 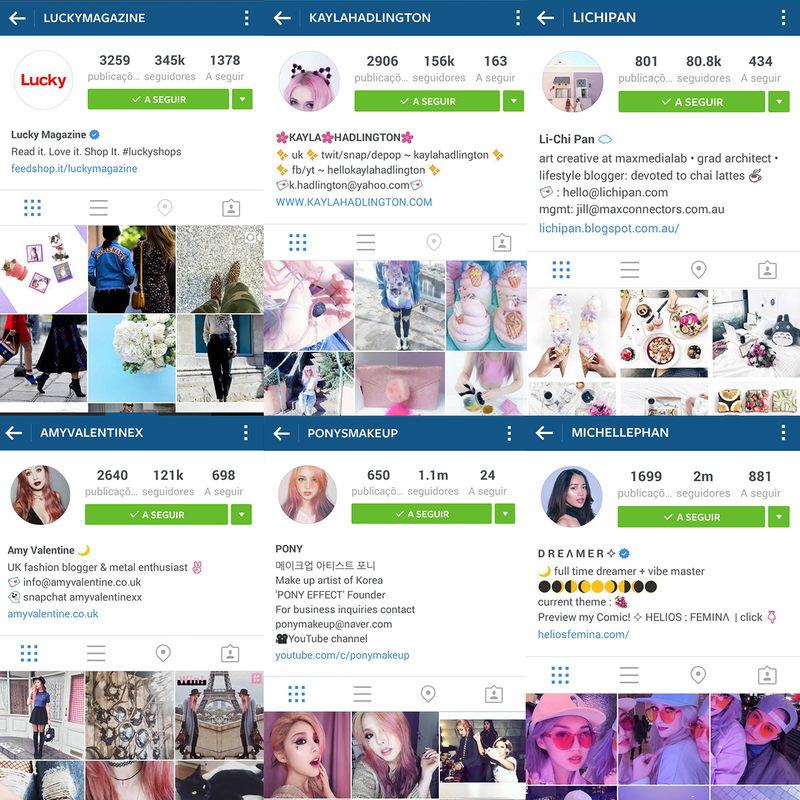 Even though some have more followers than others, which also means that the instagrammer might already have a fanbase comming from somewhere else, all of them are sucessful instagrammers! So if you already have a fanbase (from your youtube channel, or your blog), think about what your audience is looking for. Do they follow you because of your alternative style? Then try some edgy mirrowed photos of your outfit and post it on instagram! 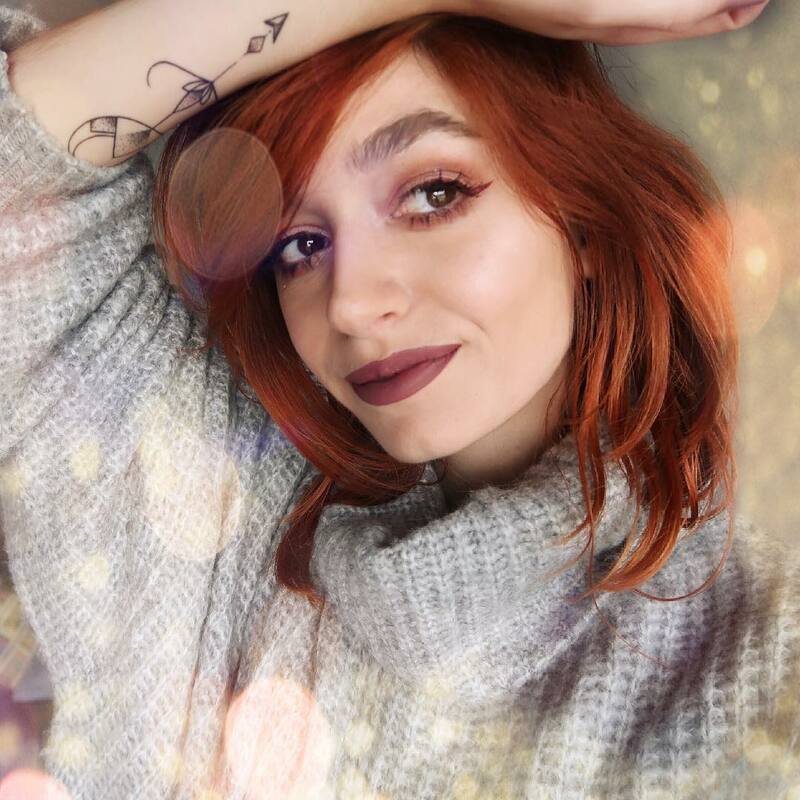 Do your fans love cute and girly photos of your makeup and beauty itens? Then post more closeups of beauty products and try use a lot of pink on your filters! If you don't have a fanbase...great! Than you can create one from 0. Decide who's is going to be your target audience and create content according to it. In my list I've included not just bloggers and youtubers, but nature lovers, portuguese brands, DJs, actresses...the list goes on. 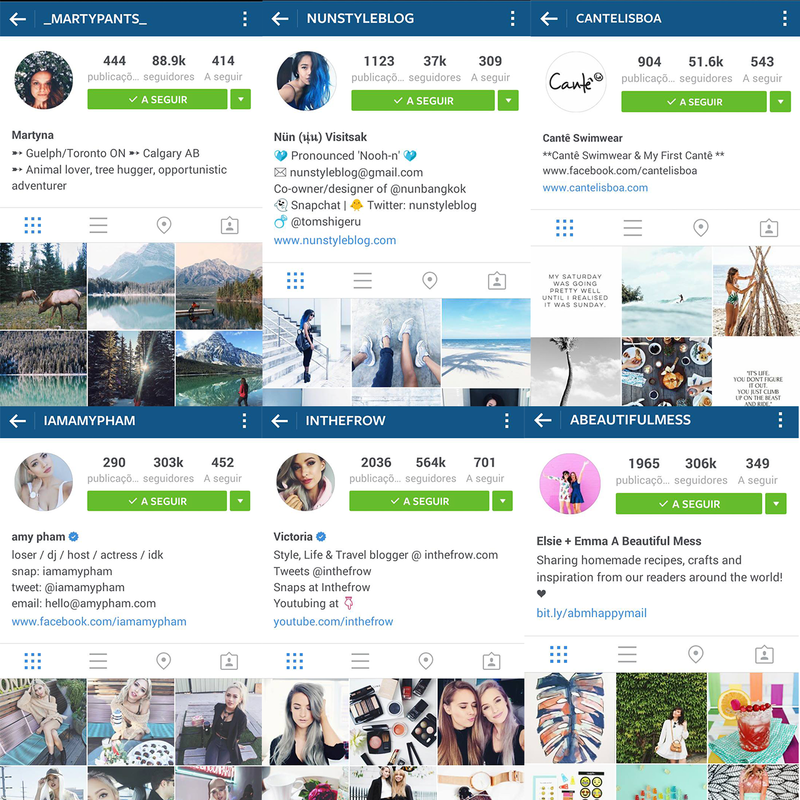 I left the bloggers linked to their websites on their respective numbers and the rest linked directly to instagram. 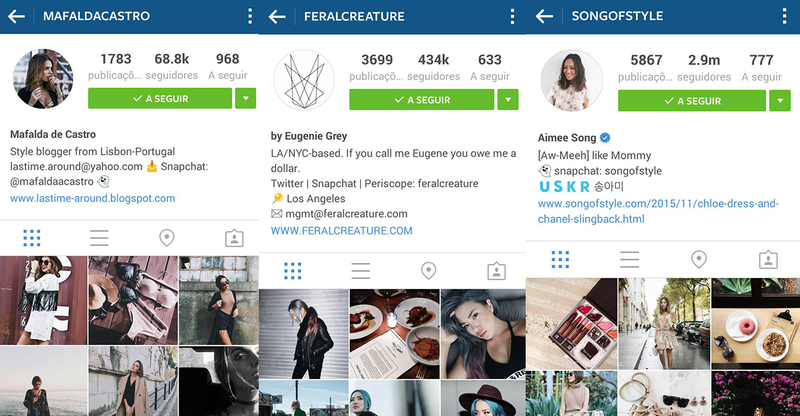 Whatever you're comming from, you can still create a big fanbase on instagram. The tips I gave you are just some basic steps on how to have a good loking instagram account. Make your instagram appealing! Not just to others, but also to yourself because you have to love your content before anyone else does. 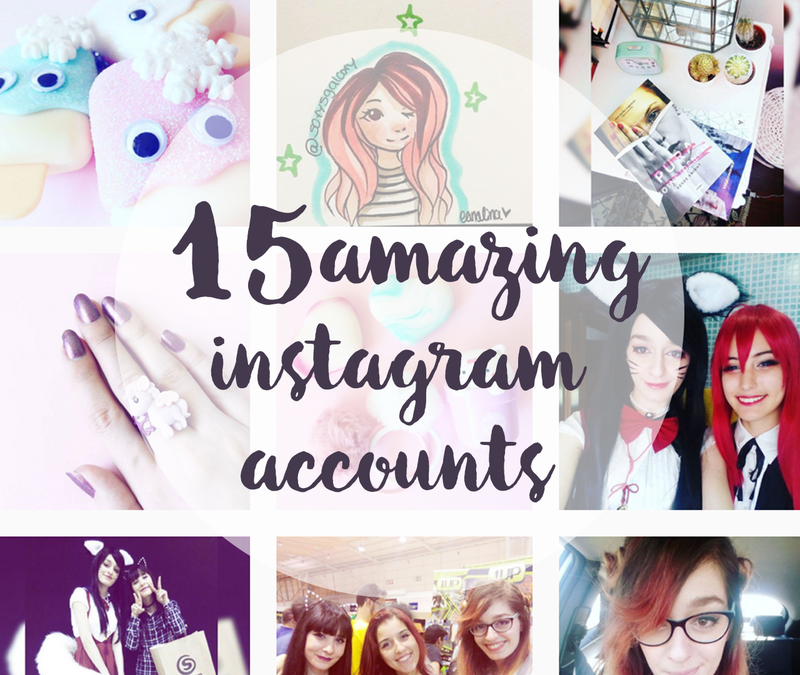 Now tell me, which are your favorite instagram accounts? Leave them in a comment below!